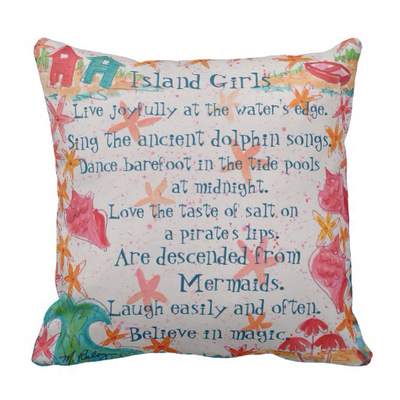 These island inspired throw pillows, designed by Maggie Ruley, will add a splash of color and fun to your home. You're probably going to be invited to someone's beach house this year, think what an amazing hostess gift they'd make! You'll be invite back for sure. 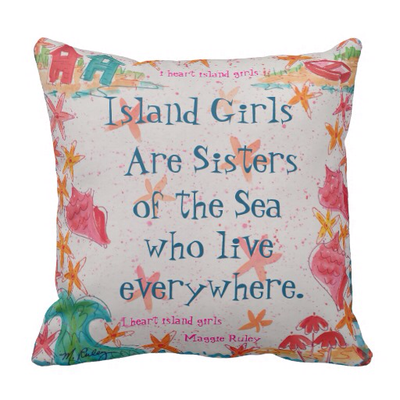 They are 100% cotton with a hidden zipper on the bottom. 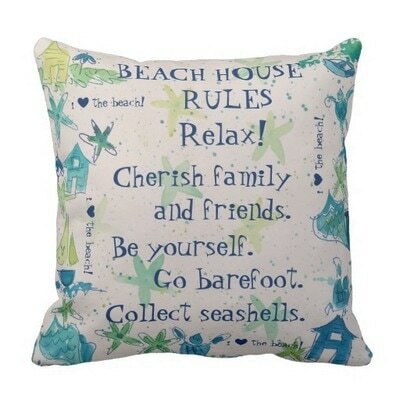 In the photos below you are seeing both sides of each pillow. 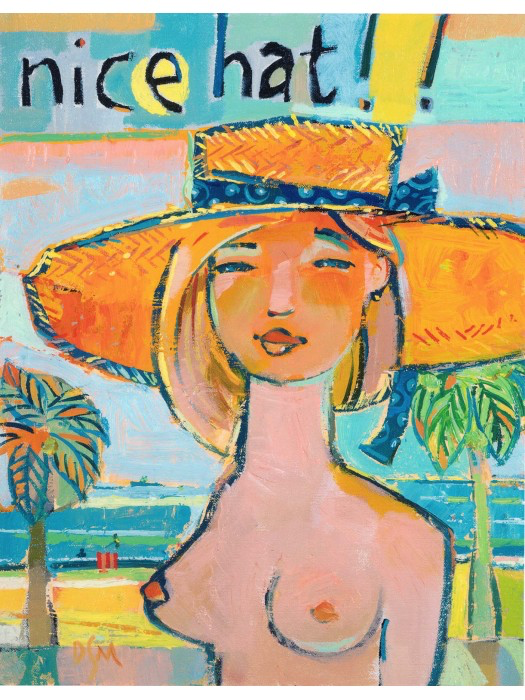 David Scott Meier, a Key West Artist, is known far and wide for his "Nice Hat" images. They make everyone smile!